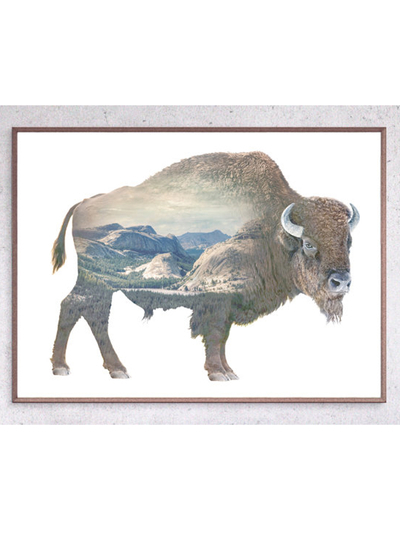 Buffalo Limited Edition Art Print from the Faunascapes Series. Printed on slightly greyisk 100% recycled paper. 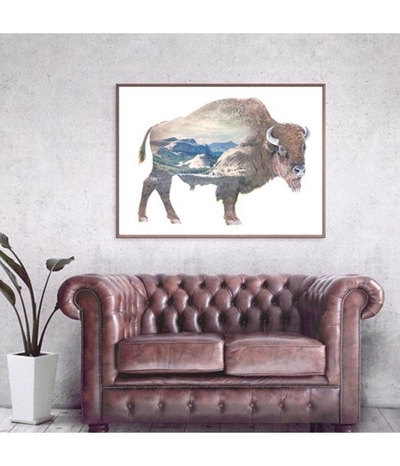 Designed by WhatWeDo, a small Copenhagen based design studio. The Faunascape series are mind dazzling landscapes that unfolds underneath an eye-opening statement. Designed by danish WhatWeDo. Handmade.